Perjury in Florida occurs when a person lies under oath. Although it’s a charge we see often threatened, it’s rarely enforced because it can be challenging to prove the person lied, rather than simply made an error or was being truthful. The statute exists to compel people to tell the truth in official proceedings to preserve the integrity of the criminal justice system. 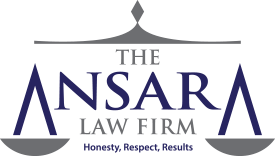 At The Ansara Law Firm, our Fort Lauderdale perjury defense attorneys have a number of possible defenses we can explore for someone facing such charges. There are three different statutes in Florida law that define and prohibit perjury. Although the exact nature of each varies slightly, all offenses involve willfully telling a falsehood after having taken an oath or affirmation. Knew the statement was not true when it was made. An “oath” in this case is an affirmation or any other form of attestation that is required or authorized by law wherein a person acknowledges he or she is bound by either the law or conscience to be truthful. A “material matter” is one that pertains to any subject that could affect the course or outcome of the proceedings. Whether a statement/ matter is material in the situation is a matter of law, which means it’s a question for the judge, rather than a jury. The penalties for perjury are going to depend on the context of those proceedings and where they took place. An official proceeding is one that involves some type of administrative, legislative or judicial body or some type of other governmental agency or an official who is given the authority to consider evidence under oath. Defendant knew the statement was false when he/ she made it. This is considered a third-degree felony, which means a conviction can result in a maximum of five years in prison, plus five years of probation and a $5,000 fine. Perjury in a non-official proceeding is basically the same as one in an official proceeding, except that it takes place in a proceeding that is not official. Statements made to an insurance company during routine questioning in response to a claim. Statements made on a marriage license application. If in the course of one or more official proceedings a person makes two or more material statements under oath that contradict each other, this is considered perjury by contradictory statements. In these situations, it’s not necessary for prosecutors to show which – if any – of the statements is true. Up to 5 years of probation. A defense to perjury by contradictory statements is to assert defendant believed each statement true at the time it was made. There is one situation where penalties for perjury are even more serious, and that is in the course of an official capital prosecution proceeding. You can be charged with this offense if you perjure yourself during a criminal death penalty case. Materiality. This is where we would seek to show that the false statement made was not related to any material matter of the proceeding. This would be a call for the judge, rather than the jury. Recantation. If the person making the false statement admits during the same continuous proceeding or matter that the statement was false AND the statement didn’t substantially affect the proceeding AND such an admission is made prior to the point that it has been or is obvious that it will be exposed – that’s considered a defense. If you are facing charges for perjury, don’t wait. Contact an experienced criminal defense lawyer now.